The Charles D. (Chuck) Spahn Memorial Award is presented annually in Chuck's memory. The recipient must exemplify the passion he had for the Boys & Girls Club. 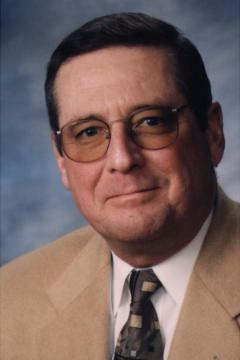 Chuck served as member of the Board of Directors from 1982 until his death, January 13, 2002. He served as Treasurer of the Club from 1983 until his death. He received the Bronze Keystone for 15 years of service in 1997. Chuck aslo served as Campaign Co-Chair for "The Positive Place for Kids" capital campaign that concluded successfully in June, 2001 with the expansion and renovation concluding in June, 2002. Chuck was one of the driving forces behind the Golf Fun Day since its inception in 1983. His dedication and willingness to go the extra mile is one of the main reasins why this event so successful. He and wife, Dianna were relentless in ensuring the success of the Golf Fun Day. As a lasting tribute, the Board of Directors wanted to honor one person or business annually that emplifies the passion Chuck had for the members at the Boys & Girls Club. Thus, the Charles D. "Chuck" Spahn Memorial Award was establlished. This award is seen as the highest honor a voulnteer can receive from the Boys Girls Club. The winner of the Charles D. (Chuck) Spahn Memorial Award for 2018 is Randy Sigman !! !